Have you read articles about celebrities who say the ‘secret’ to staying fresh faced and youthful looking is to drink lots of water, exercise every day, get 8 hours sleep and eat healthy food? A part of you may want to believe this is true but most of us know they’ve had a little help from cosmetic injectables. It seems that celebrities aren’t alone in a veil of secrecy surrounding cosmetic injections and we were interested in finding out just how secretive patients are about their own treatments. We surveyed over 100 patients who have had cosmetic injectable treatments at Cityskin in 2013 and repeated the same survey in 2019 to find out if they told their partner, best friend, wider friendship groups and family. We also wanted to see whether our age make us more or less likely to talk to our friends about treatments. The release of our 2019 survey patients suggests that the secrecy and stigma around cosmetic injectables is changing! Do you tell your partner that you have anti-wrinkle injections? Our survey shows that two thirds of patients now tell their partner that they have anti-wrinkle injections. This is a leap from 2013 where only 40% of patients decided to confide in their nearest and dearest. Why the change? We think that over time cosmetic injectables have become less of a taboo and patients feel more confortable talking with their partner about their treatments. Over time is may be harder to disguise why their skin is looking so good so telling their better half may be the only option. It is now the norm to tell your best friend that you are having anti-wrinkle treatment. In 2019 we see that 81% of patients surveyed told their best friend – a rise from just over half of patients in 2013. We feel that word of mouth is one of our most common ways to see new patients. It may be that patients are looking for advice from their best friend to make a decision on which clinic to attend or perhaps patients just find it hard to keep it to themselves and want to tell someone about their treatment! Do you tell other friends? Our survey shows that more people tell their partner than ‘other friends’. It looks like we confide in our bestie but don’t broadcast the fact that we are having cosmetic injectables to our wider friendship group. Maybe it is the fear of judgement from other friends or perhaps once we have told our best friend we don’t feel the urge to broadcast it to other people. Our survey shows that almost twice as many people tell their family that they are having cosmetic injectables compared to 2013. We guess that patients who tell their family are more likely to tell their siblings rather than their parents but a follow up survey would be useful to test this theory. Does age make us more open to talking about cosmetic injectables? This result was perhaps the most surprising of all. We expected that patients in their 20s would be the most vocal about having anti-wrinkle treatments but our results show that if you are in your 30s you are the most likely to confide in your best friend. The majority of patients that we see at Cityskin start having anti-wrinkle injections in their early 30s so perhaps patients who choose to have treatment in their 20s are more secretive about their treatment for fear of stigma or judgement on how they spend their money. Anti-wrinkle injections make the skin less lined, helps makeup sit better on the skin and gives an overall refreshed look. It could be that in your 30s there is no wasy to hide this from your best friend who knows you the best. 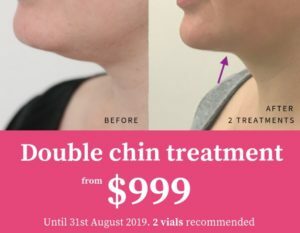 Why are people more open in 2019 about cosmetic injectables? Our 2019 survey showed that attitudes have significantly changed about cosmetic treatments. From our first survey in 2013 there’s been a big leap in the percentage of patients telling their best friend, family and partner about their non-surgical cosmetic treatment. Just like applying sunscreen everyday and having regular haircuts, cosmetic injections are now seen as an easy and effective way to look after yourself and we are becoming much more open to talking about it.The results show that over the past 6 years patients have become more open at telling their friends, family and partner about injectable treatments. At Cityskin, we applaud the fact that more people are being open and sharing their cosmetic treatment experiences with their friends and family. Since 2011 Cityskin, founded by Dr Jonathan Brown (GP and Cosmetic Physician), has had the core message that non-surgical cosmetic treatments are as much about how you feel as you how you look. We are passionate about educating and informing you about how the treatments work, how much they cost and what to expect. The Cityskin 2019 survey showed that more people are open about their anti-wrinkle and dermal filler injections. With most of our referrals coming from friends and family members of our current patients, we’ve seen this shift in attitude firsthand. We liken this to our patients telling their friends and family about other treatments that make them look and feel great. From getting a new hair style and colour to working out regularly with a Personal Trainer to tone up and get fit. Sometimes we just need to tell someone our secret. It is exciting to have anti-wrinkle injections for the first time and often patients want to share this with someone. Is there still stigma around cosmetic treatments? Anti-wrinkle injections and dermal filler treatments can appear unnatural and frozen if they’re not done with care, precision and an understanding of facial aesthetics. The Cityskin philosophy of ‘fresh, not fake’ ensures there are no ‘trout pout’ or ‘frozen’ facial results. With more people talking openly about their non-surgical cosmetic treatments there’s been an increased understanding about the importance of going to a clinic that has an excellent reputation and uses the best cosmetic injections available. The experience, training and professionalism of the Cosmetic Doctor or Cosmetic Nurse administering your injections are crucial to the results you’ll achieve. At Cityskin our team is committed to providing the best cosmetic injecting experience. By attending regular training and conferences locally and overseas we’ve earned a reputation as one of the industry leaders in cosmetic injection techniques. We specialize in cosmetic treatments that aren’t obvious to your partner, family or friends so you can say goodbye to the fear of ‘trout pout’ and ‘frozen face’! If you have any feedback or comment on our article please get in touch with the Cityskin team here.